This card took me a couple of hours to sort out. 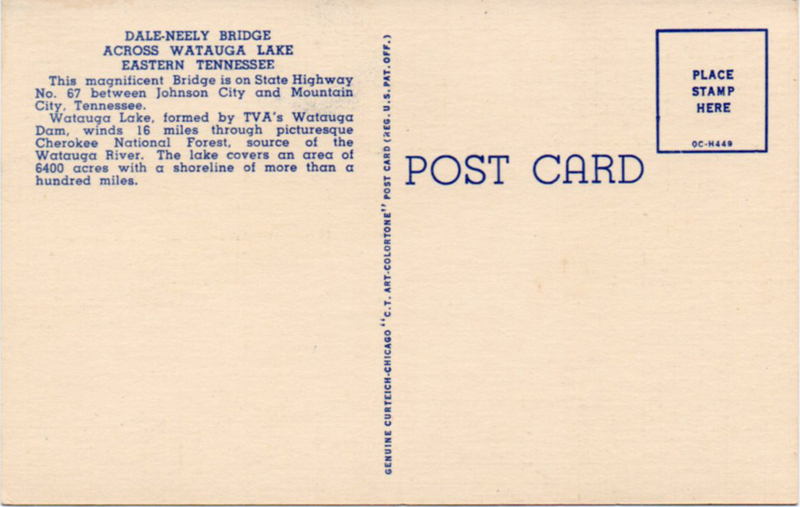 I first learned that this bridge, over Watauga Lake, has been known as Butler Memorial Bridge since before 1960 (the earliest topo map I could find). 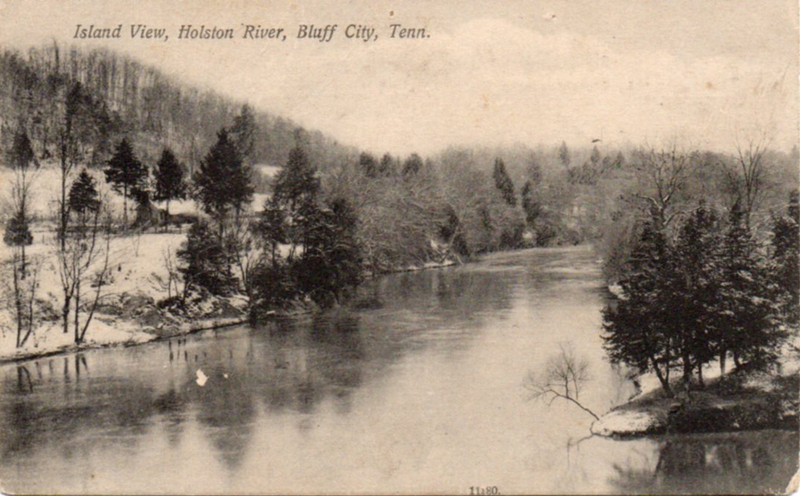 However, when the picture of this bridge was taken, in 1949 probably* the bridge was called the Dale Neely Bridge, named for the Dale Neely Branch near its southern abutment. Note that the card refers to it as “Dale-Neely”, as if it were named for two people. That’s not uncommon. 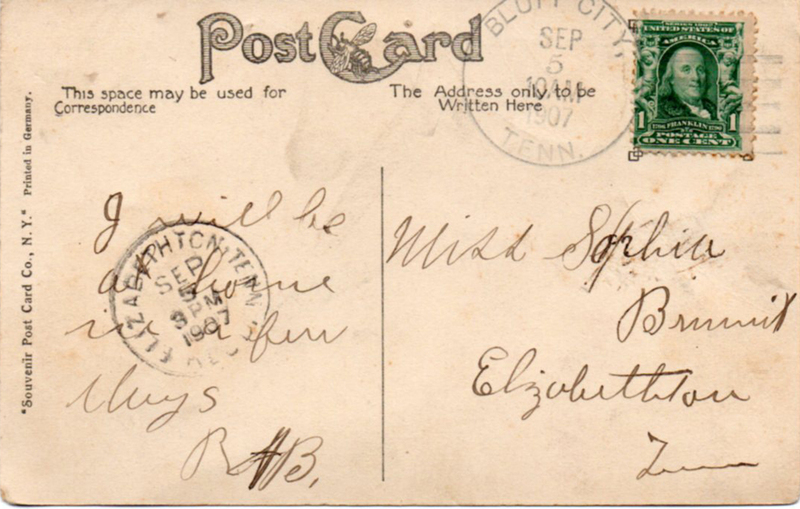 Asheville Post Card Company called the library in Johnson City the “Mayne-Williams” library. Watauga Dam was completed in 1948 and this bridge was constructed in 1948. 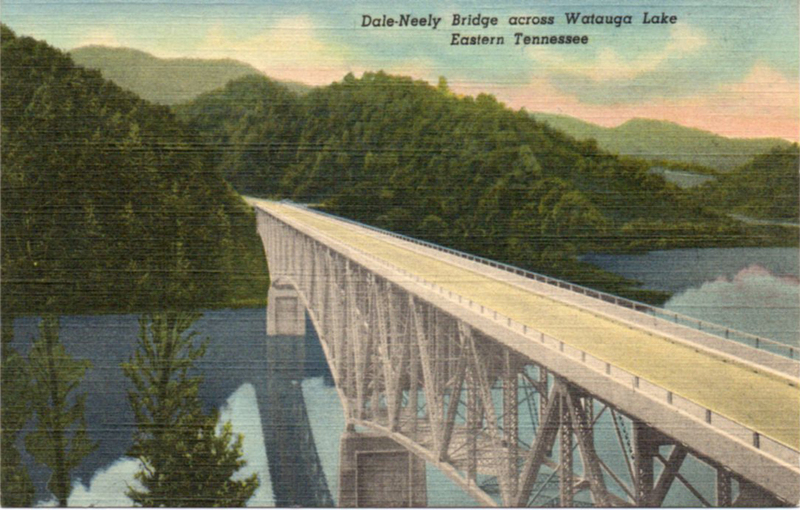 “Dale Neely” was either a provisional name, or possibly the name of the lower bridge that this one replaced, which was later quietly brushed aside to provide a memorial for the town of Butler, lo, these many years beneath the waters of the lake. Everything you would ever want to know about this bridge is here. *The card was printed by Curt Teich in Chicago. Its inventory number is OC-H449. 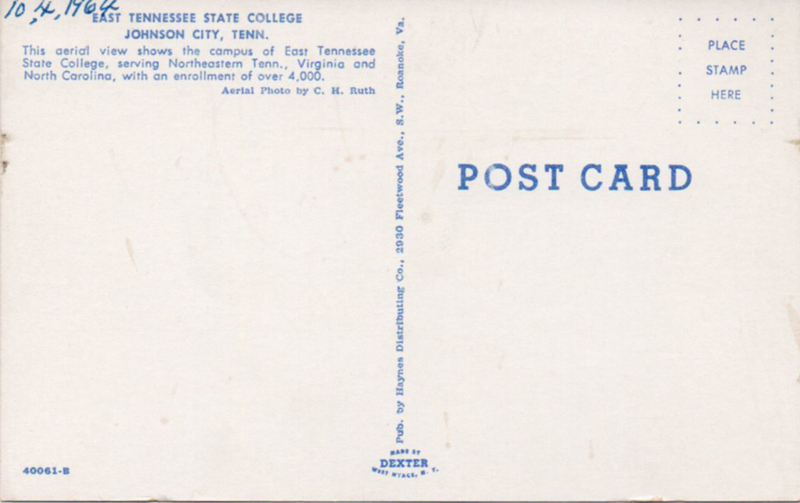 “OC” indicates 1950 as the year of its printing. Looks Alpine, doesn’t it? However, as the title of this post suggests, it’s in Marshall NC. 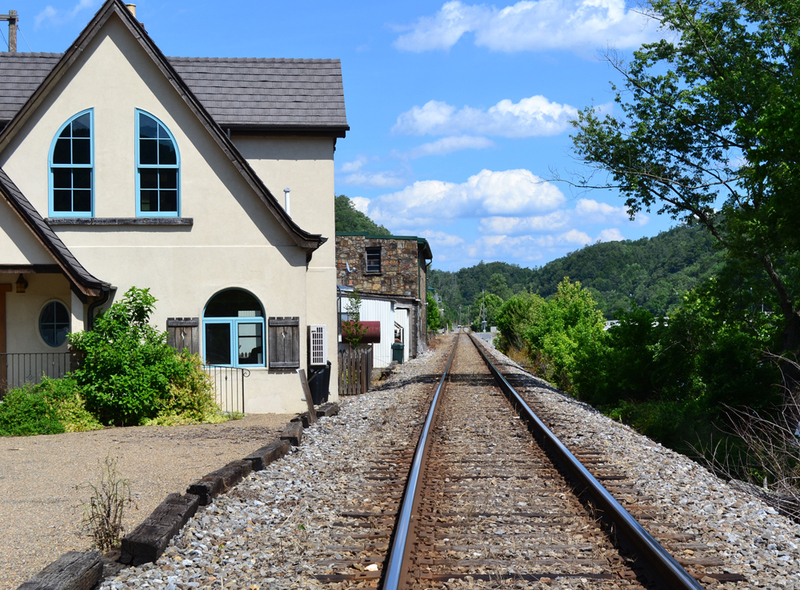 We often wonder about living in a house that close to an active rail line. Besides the noise, those big trains cause a lot of ground vibration. Maybe you get used to it. Someone penned in the date 10, 4, 1964 on the back. That’s more than likely when this card was acquired. I suspect the picture was taken in 1963, given the turnaround time it took then to get a postcard printed and back in the hands of the local outlets. 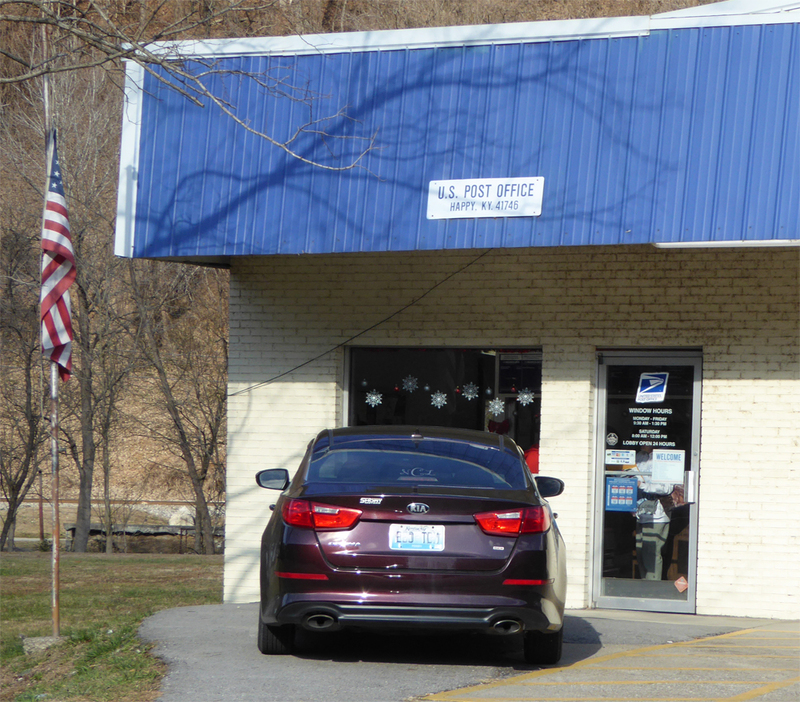 It was sold by Haynes Distributing of Roanoke (Dexter printed it). Most of the cards I see from Haynes show Joyce L. Haynes as the photographer, but this one was taken by their other salesperson in this area, C. H. Ruth. 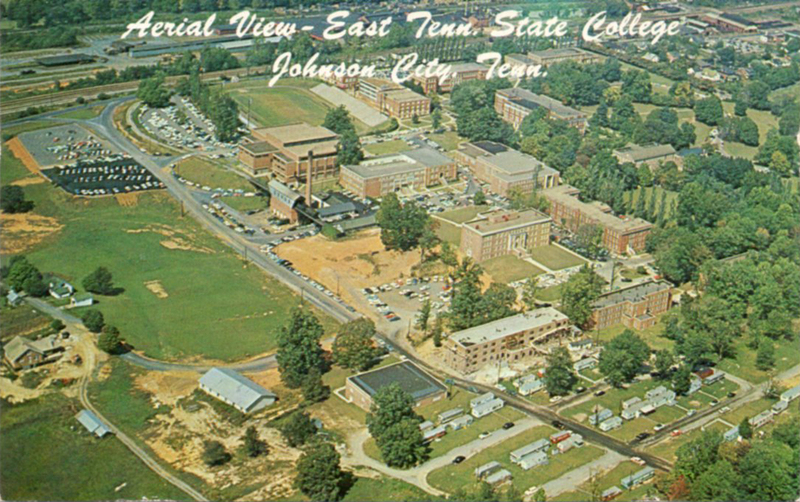 I was over at ETSU the other month and happened to be an area where I was pretty close to that old chimney. I got a real rush of nostalgia recalling standing in the more-or-less same spot when I was, maybe, 16 years old, listening to my older brother, who was attending ETSC at the time. He was telling me that TruAde was better for me than Coca-Cola because it had less sugar. It actually didn’t, but I still thought it was gross.